A few years ago, Ubisoft saw a gap in the music-game genre. Sure, it was fun, even then, to hear some of your favorite songs while you bash away on plastic buttons. But there was something missing. No one knew how to really play the songs after they walked away from the plastic controllers. Some people grew past this and wanted to pick up their instruments of choice, and they began to teach themselves the old-fashioned way, but some were intimidated. Some were afraid of how hard it would be to learn guitar. As I can attest, learning the guitar is not a super easy feat. 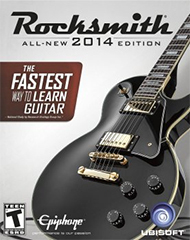 Ubisoft recognized there was a need and created Rocksmith. Rocksmith is so good that I let it teach my kid guitar after my lessons failed him. Now, with Rocksmith 2014, Ubisoft returns to play guitar instructor, and it couldn’t have come at a better time. For starters, there’s been a huge gap in the industry for music lovers. While I don’t foresee a return of Guitar Hero or Rock Band, it is something of a comfort to have a game that is more than flash and flare, a tutor in a field many minds new and old are definitely wanting to learn. People complain about the unforgiving controls of the first Rocksmith. I don’t share those complaints, as the Guitar is an unforgiving instrument, so those having issues with the controls are really just having issues with the guitar. To deal with these complaints, Ubisoft touched up the responsiveness of the game. While playing, very rarely did I feel that my mistakes were the fault of the software. 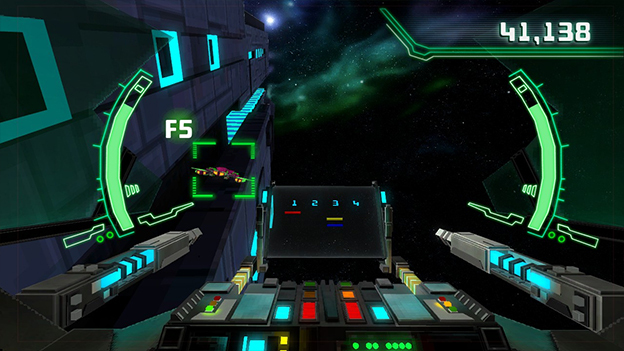 In addition to the controls getting a fresh touch, the visual layout has also received a much-needed revision. 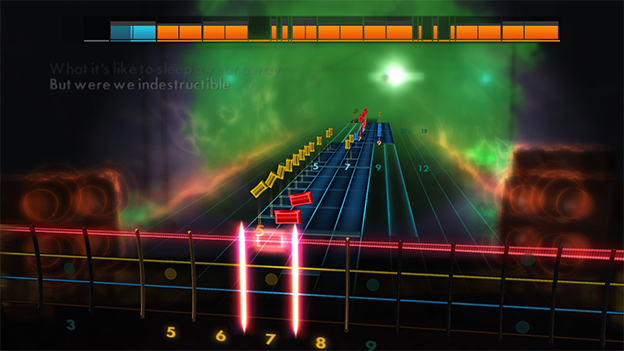 With the first Rocksmith, the layout of string and chords are very muddled with background environments. However, this time around, it is very clean and easy to read. This comes into play more so when the virtual fret moves in and out to assist you in locating the next notes you need to play. The other static backgrounds are also very clean to look at. Same thing goes for the menus and other staging areas. One of the new things added to the mix this time around is Session mode. Here, players will be accompanied by a virtual band (that they get to select) while they jam out. The great thing about this is the way the virtual band reacts to you. They will play in accordance to how you are. If you play slow and melodic, then the virtual band will modify their play to always make you sound better. Choosing up to four other instruments in your jam session allows you to really express how you want to sound. Drums, bass, piano, and even synthesizers are optional. These are then further broken down in the types of sounds they have: such as banjo, organ, acoustic--to name just a few. The customization doesn’t stop there, though. Your pedals, cabinets, and even the type of amp effects you want to use are customizable. This allows you to personalize any song you’re playing, no matter the type.